There is no doubt about Pakistan’s craze for food. We celebrate by eating, mourn by eating and do diet by eating. Our sweet tooth makes us eat delicious desserts. Several Pakistani desserts are famous all around the world. Some of them are listed below. Gajar Ka Halwa is the most famous Pakistani dessert. Mostly people prefer to have it during winters. This traditional Pakistani dessert is loved by all. Here is the recipe. 2) In a wok, slightly heat the banaspati and add cardamom. When it pops, add sugar and stir for 3-4 minutes. When the Sugar starts to melt, add carrots and stir well until the water in the sugar dries. 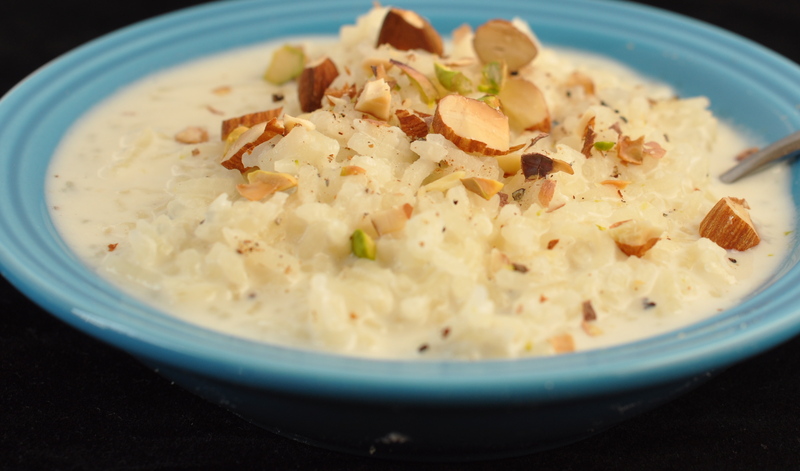 Kheer is the most popular dessert of Pakistan which is mostly cooked on Eid and other such religious celebrations. People try to experiment with main ingredients, but the main ingredients remain the same all around the country. Here is the recipe, do try it to today. 1) Wash the rice and stayed for half hour. Then take a pot and boil the rice in water. 2) When rice becomes soft then adds milk, ilychi and salt. 3) Cooked it and when milk comes to dry then add sugar, kish mish and khoya. 4) When milk dries then switch off the stove and add almond. 5) When it’s cold then pour into a bowl and garnished it with nuts and serve to your guests. Sohan Halwa is the speciality of Hafiz Halwa Shop Multan. They claim that Dewan Sawan Mal, the ruler of Multan during the 1700s, invented the recipe. It’s the must have sweet of Multan, anyone travelling to Multan is bound to have it and even take it to their loved ones back home. 2) Allow it to dissolve properly. 3) Dissolve saffron in water. 4) Mix 3 cups of water in sugar and boil for it for some time. 5) Add milk and boil it for 5 minutes. 6) Mix corn flour and saffron mixture to it. 7) Cook the mixture over medium heat. 8) As the mixture turns thick, start adding oil. 9) Continue adding oil and stirring till the mixture gets separated. 10) Add Badaam and pista. 11) Place this mixture on greased plate. 12) Keep it for cooling for a while. 13) Cut into square pieces. 14) Crunchy Sohan Halva is ready. Need not say anymore, Jalebi is Pakistan’s love. It’s the most commonly eaten dessert which is available for every happy occasion. You can even dip it in milk to make delicious Doodh Jalebi”. Note don the recipe. · Corn flour 2 tbsp. 1) First put yeast in warm water, not hot water, with sugar. Leave aside for 5-10 min. 2) Mix together all dry ingredients corn flour, flour, and food color. 3) Then add yogurt and yeast mixture. 4) Mix the mixture until it becomes lump free. 5) Don't make it too runny or too thick try to make the right consistency which is if you drop it with a spoon it forms a string. 6) Then set it aside for 20-25 min. 7) Meanwhile prepare sugar syrup with one string consistency. 8) After heating the oil at medium heat. 9) Put the batter in the squeeze bottle or Ziploc bag. 10) Make jalebi shape in oil and wait till it gets a little hard then take it out of oil and put in sugar syrup. Every celebration has a Gulab Jamun in it. 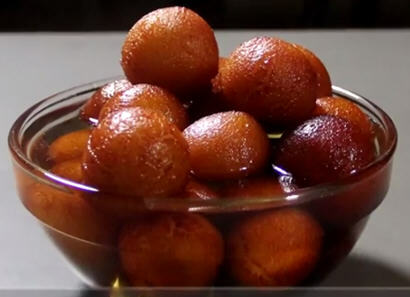 Mostly people prefer to get it from sweet shops but few attempt to make these soft and sweet Gulab Jamuns at home too. 1) For sugar syrup: In a pan add water, sugar and cardamom and cook on low flame for 10 to 15 minutes. 2) For Gulab Jamun: In a bowl mix flour, khoya, baking soda, cardamom, almonds, pistachio, saffron and milk to knead and make small balls. 3) Now in a pan heat oil and fry balls till it turns light brown. 4) When its ready put it in sugar syrup for 10 to 15 minutes.